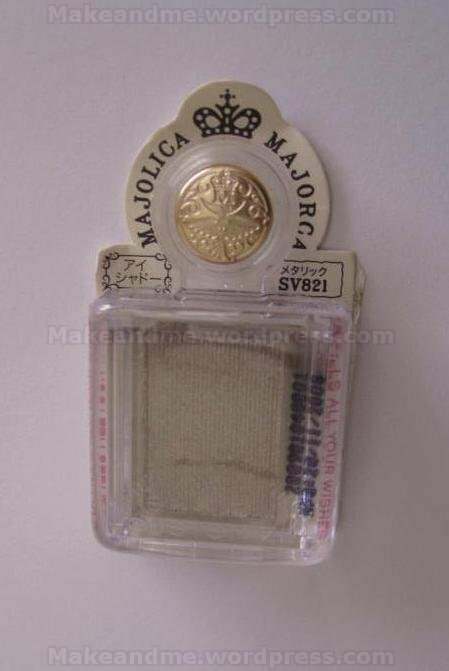 Marjolica Majorca is a drugstore sub-brand produced by Shiseido. I have heard that one of their outstanding product is their eyeshadow single. 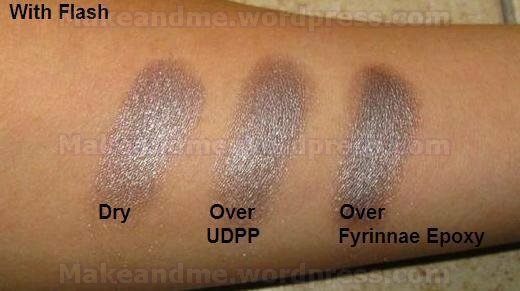 However, I have also heard that not all the eyeshadow singles are good. One in particular is supposed to be amazing. That will be SV821. 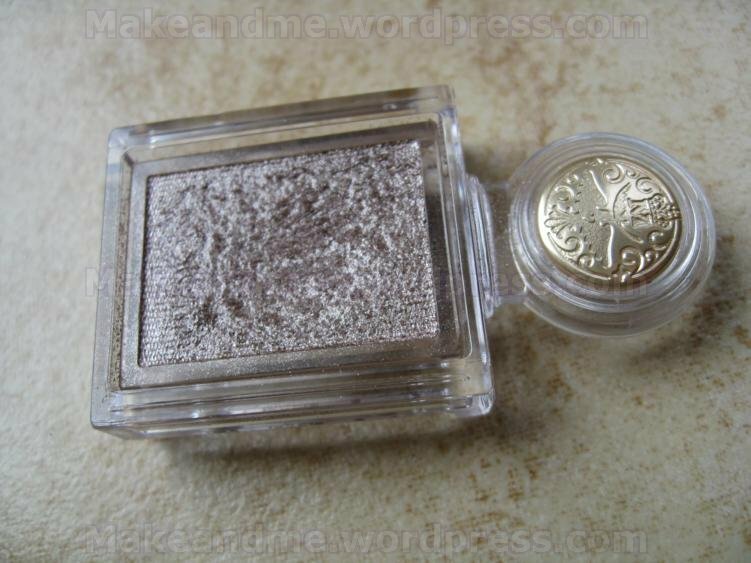 I set out on a journey to procure this amazing shadow for myself. 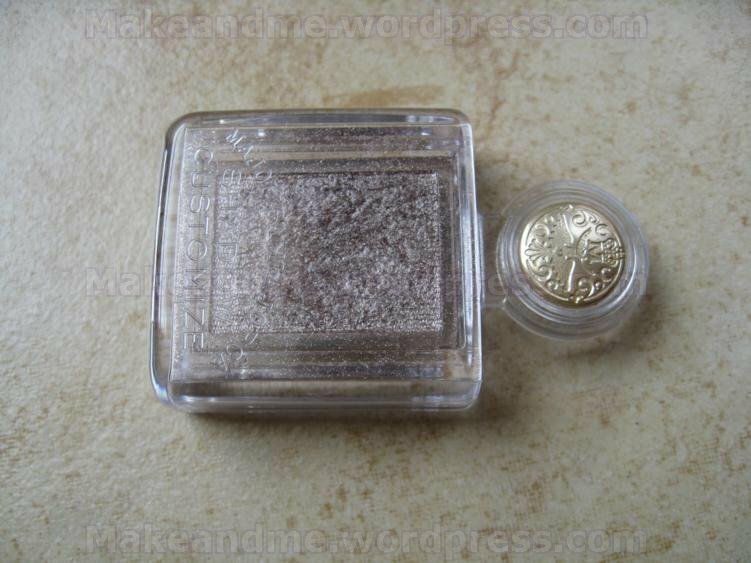 Alas eBay failed me. I then proceeded to look online & alot of etailers did not sell this. Rumors are that this color is getting discontinued! :O Thankfully I managed to find someone who was willing to custom purchase this for me from Asia. Hence began my love affair with SV821. To start, naming stuff with numbers do not bother me. In fact, I much prefer this to names that seem to try too hard to be cool & hip or provocative (Illamasqua, NARS & Urban Decay, I am looking at you all). When I finally received this, I am in love! 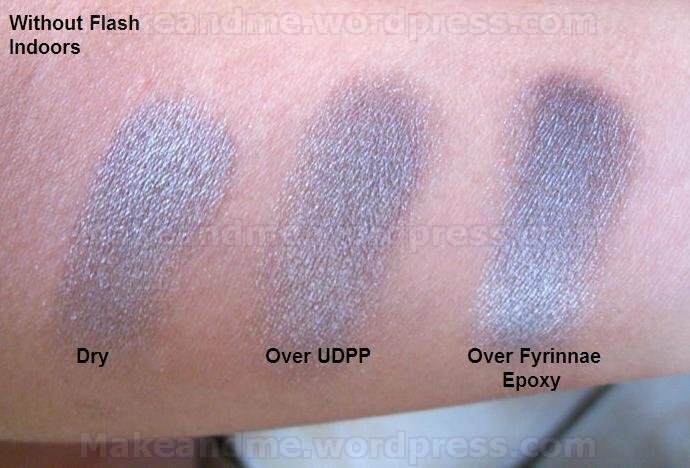 This is a drugstore taupe eyeshadow that is soft, buttery & pigmented! Quite rare in my books! This shadow is soft so sometimes there is a little crumbling of the shadow when I use my MAC 217 to swipe on it. Staying power is good although I did experience some glitter/sparkles fallout to my undereye area after about 7 hours of wear. Note: Have verified that this is gone from Singapore. This could still be purchased in Malaysia. Not sure about other parts of Asia. 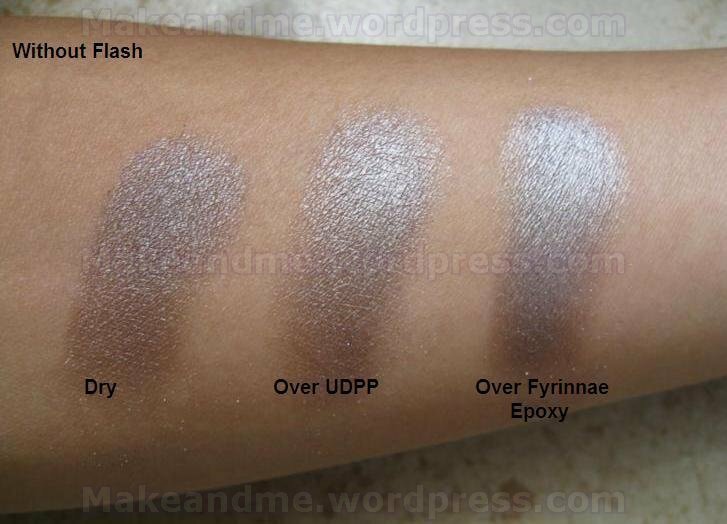 Conclusion: I love, love, love this shadow & had bought a number of backups once I heard this is discontinued (although I have heard conflicting information now). If you can find it, I would definitely recommend that you buy it! Especially if you are a taupe lover! Ingredients: Mica, Talc, Titanium Dioxide (Cl 77891), Diisostearyl Malate, Trioctanoin, Sorbitan Sesquiisosterate, Ethylparaben, Polysilicone-2, Tocopherol, Zinc Myristate, Silica, Petroleum, Synthetic Fluorphlogophite, Dimethicone, Polymethyl Methacrylate, Mineral Oil, Triethylhexanion, Calcium Sodium Borosilicate. May Contain: Cl 77491, Cl 77492, CL 77499, Cl 77077, Cl 77947, Cl 77510, Cl 74160, Cl 19140;1.